I got HS3 up and running.. I also got imperihome up and running to control my devices via IOS.. I own 3 hikvision IP cameras..
next i'd like to add them such that I can via them as a device in Imperihome. But i'm not sure how to go about doing that. Appreciate any direction. I notice there is a camera setting under setup->Cameras but i'm not really sure what putting your cam info in there does since it doesn't show up as a device. after that i'd like to get HS3 to email me a photo when it sense movement at the front door from my motion sensor. Appreciate any direction on how to do this as well. Netcam plugin? Ideally you want a proxy for all three cameras on your network. Today Blue Iris is very popular. You can too use Netcam and trigger single JPGs from your cameras triggered by a motion script and email those to your telephone or manually write a script to do this in Homeseer. Here way long time ago with HS2 just used a script to do this on my outdoor combo Optex camera / PIR sensors. well still no luck here..
added the SS plugin but can't get it to work and so far haven't gotten help with it..
played with netcam for a bit..
then installed ultranetcam3 which handles my cam and email notifications pretty well. pretty happy there especially if i can eventually get pushover to push me an image, but i digress. I still can't seem to get imperihome to show a camera even with my ultranetcam3 plugin now allowing me to successfully add all 3 of my cameras as devices. When I add the cameras in imperihome in the app i get "the operation couldn't be completed. (INSURLErrorDomain error -1100.)." soooo, i take it this isn't going to work either. still looking for some help/direction on how i might be able to view the current camera image in imperihome. one that doesn't involve installing blue iris since I looked into that and i don't see myself spending hundreds to set that up anytime soon when my old SS on qnap works fine. in imperihome under cameras mpeg you need to have something that looks like below, with user and password boxes filled out..
Ahh thanks I bet that's it. I don't have anything defined under MJPEG config in the imperihome plugin. I only had an URL set for JPEG snapshot. In fact i'm pretty sure that my cameras are all set to H.264 so i'll probably have to wait until I get home to set a stream to MPEG and set the URL to test it out. Shoot.. I switched my camera's substream to MJPEG and confirmed it was set to that and then for "MJPEG stream local URL" in the imperihome plugin I put http://192.168.1.108/Streaming/channels/102/httppreview which i confirmed shows a feed in a browser. Still no luck after rebuilding imperihome's database and reloading in the app. Same error. My "remote URL"s are both blank. Not sure if that matters. I'm assuming that i don't have to poke a hole in my firewall and all that since the plugin should be communicating with the cams locally. I'd like to deploy blueiris and its not the software cost that scares me off but rather the hardware cost. Finding a compact (like an intel NUC), lower power computer of some kind with a windows license seems like it'd cost me more like $500 to deploy something that I mostly already get with SS running on my qnap (though not as nice i admit). Last edited by gwichman; February 6th, 2018, 11:57 AM. you can see here the settings of the camera for the substream channel including it being set to MJPEG..
current imperihome settings for the camera page..
does it work if you setup one of this camera directly as a new system in the IH app? I assume that you mean to add a new object so i went and added the IP camera object in the ios app. 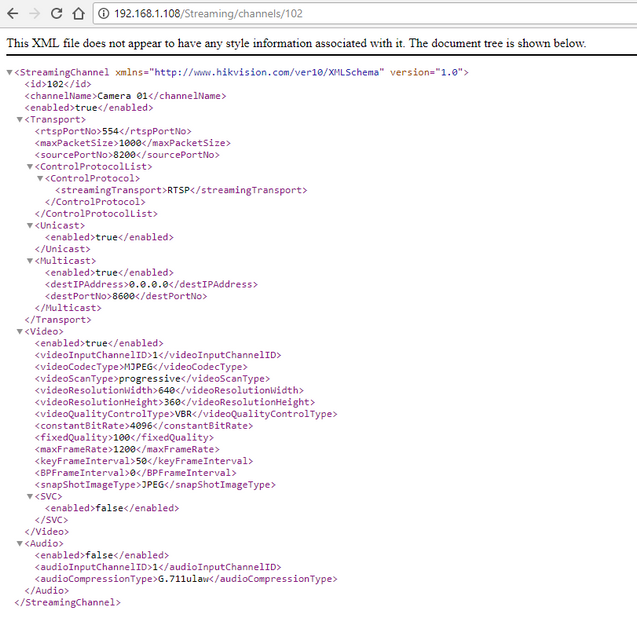 In it, I entered the same URL's and authentication info and similarly left the remote stuff blank. I was then able to add the camera to one of my dash pages successfully whereas when I try doing that through the homeseer object i get the above error. Notice the one on the bottom left is via the homeseer object, the one on the right, the ip camera object. Do you have any special characters in your password? Could you try to set up the cameras with no user/password at all and see if that works. Do you have an Android device you could test with? I would like to know if the problem is specific to iOS. 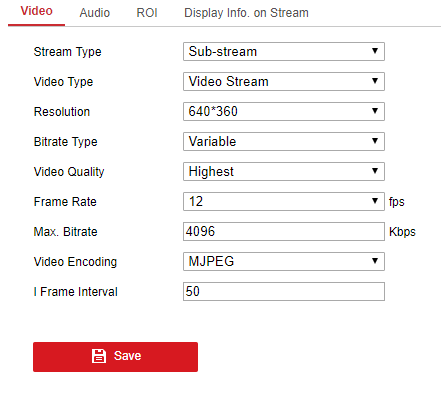 I have my HikVision camera stream Channel 1 at H264 and the SUBSTREAM (Channel 2) at MJPEG. See setup screen shot below for setting this substream. Note that HikVision channel 2 is "102". I use the following URL that I obtained at this site. In my HomeSeer setup (running the Zee S2 Linux version) I entered this URL as shown in the screen shot below. What doesn't make sense to me is that I had to place this URL in the 'screenshot' instead of the MJPEG Stream entry. I can verify though that these settings now work with HSTouch in an Android and IPhone. I realize this isn't exactly specific to your application, but wanted to give the info in case it could be of some help. Last edited by BraveSirRobbin; February 7th, 2018, 09:36 AM. The cameras won't let me set no password so I can't try that. My password doesn't have special characters. It's H4leakala on the cameras. I grabbed an android device and set it up there and it works fine. Looks like the problem is IOS specific. I notice on my IOS device (iphone X) that if i click on the cell on the dashboard page for the camera, I get a popup that says "Error getting image. unsupported URL". Not sure if that's any more enlightening then the error I see above in the cell though. Thanks that's interesting about having to put it in the screenshot field instead of the mpeg stream entry field. I tried putting the stream URL in the snapshot field instead like you have it but that didn't correct the issue. I also tried using /picture instead of /httppreview but no luck there either. Of course both /picture and /httppreview show me an image in a browser if i navigate to either so the URL's seem to work fine. I can't seem to find an URL that the IOS app likes.